It's difficult when you find that you need help from other care providers, but your elderly loved one flatly declines to allow them to help her. You're trying to help her and maintain your own life, as well, and you can't do it alone. So what can you do? If your loved one is afraid of outside caregivers or has outlawed your efforts at trying to have other people help with her care, this leaves a lot of pressure on you as her family caregiver. You're only one person and you have to take care of your own needs as well as those of your elderly loved one and possibly a career, kids, and even pets. That's a lot to keep on your own plate. Your elderly loved one may simply refuse to interact with elderly care providers or she might physically bar them from entering her home. Regardless, this is potentially a large problem. 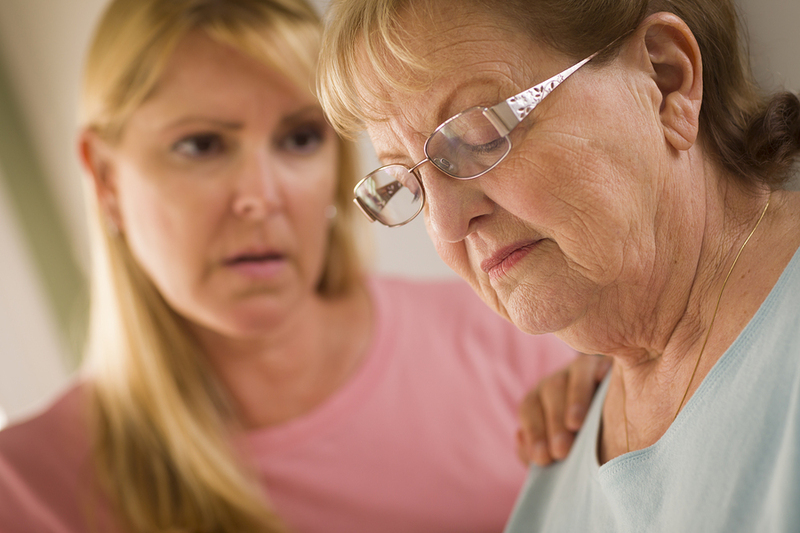 In some cases, your elderly loved one may be experiencing dementia or other illnesses that make her less reasonable. She may also have a health condition that she finds embarrassing, in which case she won't want a total stranger seeing her dealing with the problem. No matter what, though, it's important that you talk to your loved one's doctor about her resistance to allowing outside caregivers to treat her. If there is a medical cause, you can seek treatment to correct the problem. Once you've ruled out a medical cause, it's time to gradually ease your loved one into accepting help from people besides yourself. You can do this by contacting care providers that only visit the home when you're there. That way your loved one doesn't feel as though you're abandoning her to a stranger. As your loved one gets to know the new care provider, she may become less resistant on her own. You can also try bringing in a care provider for short periods of time only a few times a week and gradually increasing the visits as your loved one becomes more accepting. If your loved one truly fears for her safety, then you need to do what you can to ease her mind on that score. Reassure her that even if you're not there, you'll be able to be reached if she needs you. Your loved one may even need to test that scenario out in order to feel more comfortable. The key here is that if you promise your loved one that you'll be there for her if she needs you, then you have to back that up. Helping your elderly loved one to accept care from others is essential for her own health, but it can affect yours, too. If you or an aging loved one are considering elderly care in Loxahatchee, FL, contact the caring staff at BrightStar Care of Jupiter. Call today (561) 741-1200. Help a Senior this Season!